Why? Every so often, when I view my Media Library here, I spot this one, and the same recurring thought emerges. I love this shot of Maniola Telmessia, seen in the HolyLand, Israel. That happy reflection leads me, time and time again to consider Why is this among my favorites? The morning light that day was early morning light, coming at at an advantageous angle. There was little breeze. The wildflower plant, like so many in Israel, features spiked leaves, for this is not an easy land for plants to survive, and time may have proven that spiked armature helps. The lovely purple hue of the stems pleases my eye. The coloration of this particular individual bedazzles me, for I love shades of brown, orange and yellow. That vast wash of orange can be the real reason that I like this one, and the unique coloration of the left lower wing surface insists that I stop and study. Y’all read, hear and see much irresponsible news coverage of Israel, persuading that it is a land in constant danger, peril. Nope. This is the real Israel, gorgeous, mysterious and purposeful. That may be the most important reason I love this image, it markets Israel so perfectly, beautiful, unadorned and serene. Mt. 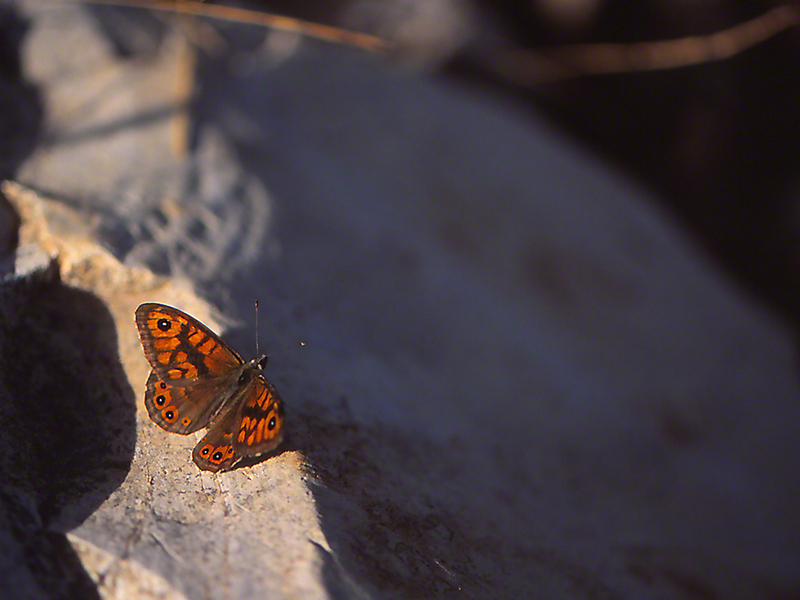 Meron is excellent for finding Upper Galilee butterflies, especially satyrs. I’m always on the lookout for images that highlight their tantalizing spots. A great long-term goal, for they don’t enjoy close approach, and nearly each and every time you find a fresh one, with those spots and eyes aglare, it’s gone before the first shutter click. Persistence often rewards, and this time, I was Ga Ga when I found this Lasiomatta maera orinetalis with the morning HolyLand sun spotlighted on its upper left wing eyespot! That’s a rarity in the field, and I got it, I did. Enough of the lower right wing surfaces can be seen to make the declarative satyr ID. Surely such fascinated Them back then, as they made their pilgrimages, this just days just days before Christmas . . . Amazing to ponder, this. Color. I love warm color. True, when I loved in New York, though untrained, I spent lots of time in the Metropolitan Museum of Art, MOMA, Brooklyn Museum and often visited Christie’s and Sotheby’s pre-Sale exhibitions of American Art and European Art. I love fine Art and I love color. Mt. 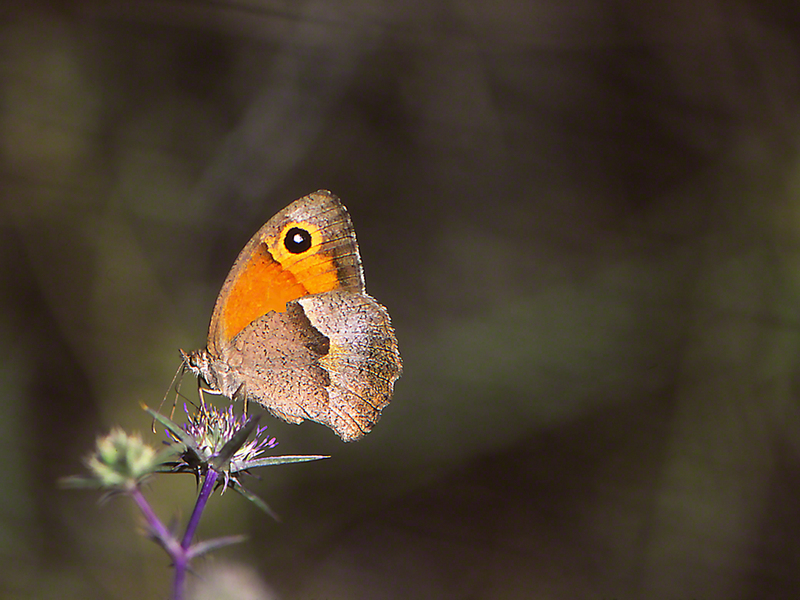 Meron in the upper Galilee region of Israel had a good number of Turkish Meadow Brown butterflies, they sporting rich, warm color. I spent several days seeking the best Maniola Telmessia I could find. I like this for that, and when it went from flower to flower I followed. Here’s the image I want to share. It evokes comely color, warm, agreeable and inviting. We’re on Mt. Meron in the Upper Galilee Region. Jews, Christians and Muslims value this region, at the very northern edge of Israel today. Me? I’m finding butterflies the entire time up on Meron. I’ve already met some of them, most of them. 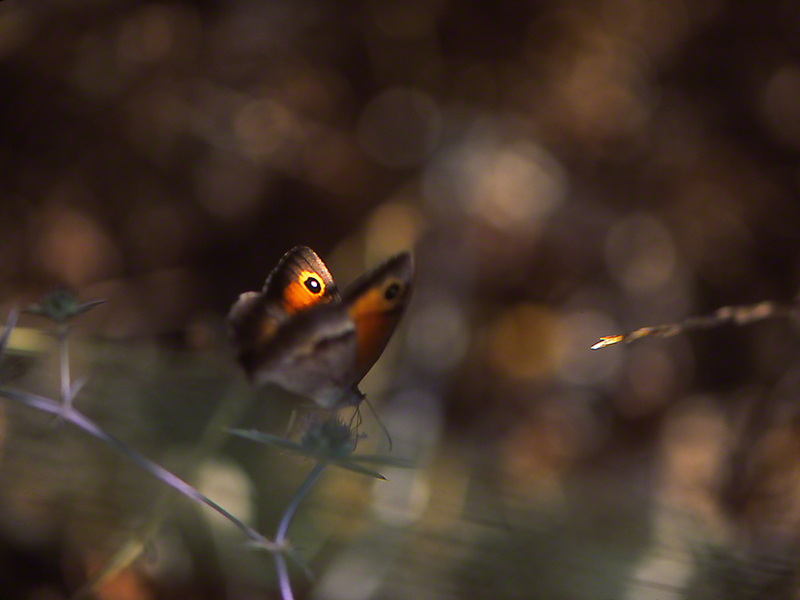 Every once in a while, I catch a fleeting glimpse of a butterfly I do not know. One I never met before. This one is grouped with the Satyrs, but it differs much from the images in Dubi Binyamini’s landmark field guide. I hope that Yaron or Oz or Dubi will come along and help us here. What is this HolyLand satyr?